Another pattern full of primitive projects! The 6" sheep is just great, with his embroidered details. The 6 1/2" x 16" sampler looks like it came straight out of great grandma's attic. 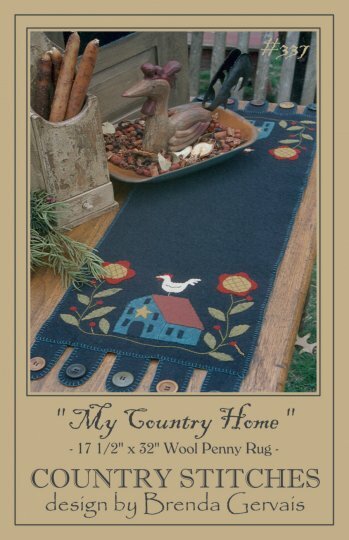 The 10 1/2" x 27" table runner is a great compliment to either project. Pattern for a 30" doll to place near your home entrance. Hannah is holding a pineapple, the symbol for hospitality, and a flag. 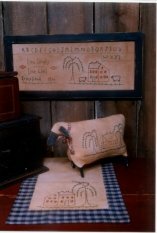 A saltbox house and willow tree are embroidered onto her apron for added detail. 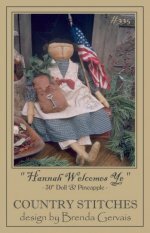 A great doll to welcome your guests. 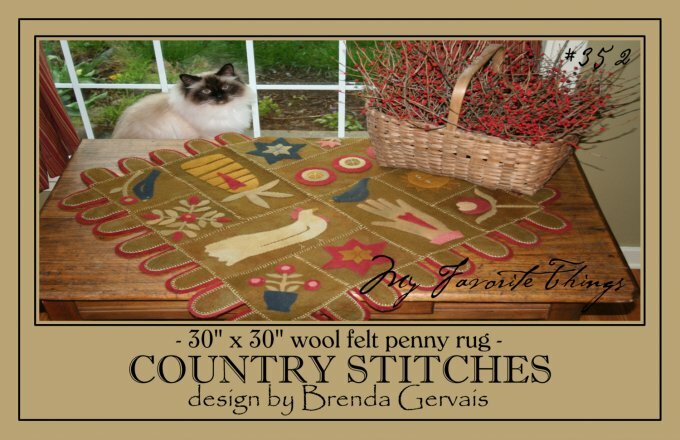 This pattern is loaded with great projects. 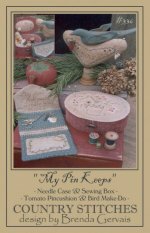 Pattern includes instructions for the blue bird make-do, tomato pincushion, fabric covered sewing box and needle case. 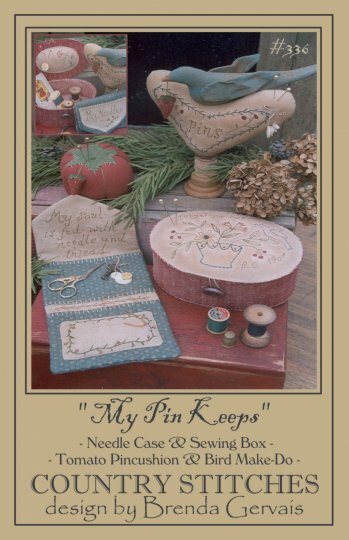 What a great gift for that special sewing friend! Pattern for a 17 1/2" x 32" wool felt penny rug. Red flowers climbing the sides of a blue saltbox house with a rooster perched upon the roof. Various old buttons are stitched to the "tongues" for a great homespun look. 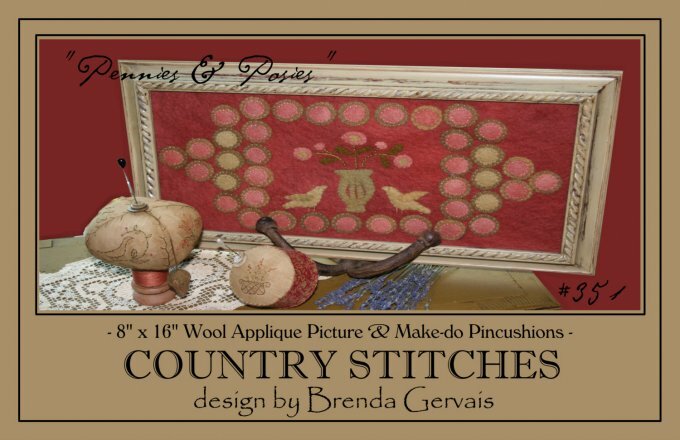 Pattern for an 8" x 16" wool penny picture and two wonderful pincushions with embroidered details. A wonderful pattern! Pattern for a 30" x 30" wool penny table rug. Penny rug consists of various squares and rectangles pieced together to form the rug. Various folky designs adorn each square or rectangle. A great conversation piece for yout tabletop! A folky pear pattern from Country Stitches that is uniquely wonderful! 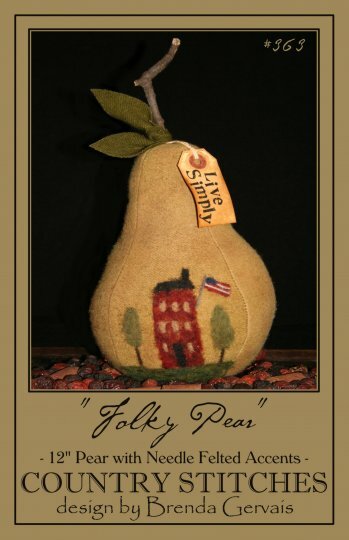 The 12" three dimensional pear is constructed from hand-dyed wool. Wool roving is needle felted onto th pear for a great folky look. We also offer the Live Simply tags for sale on our website in the accessories category.